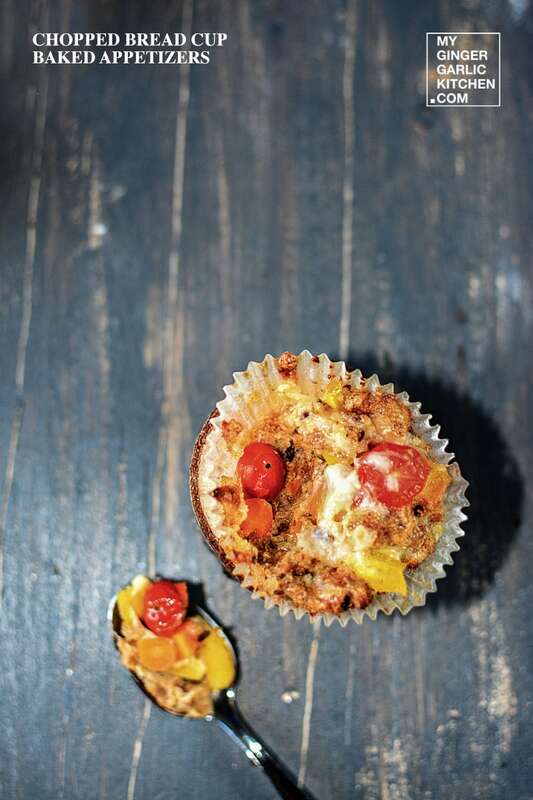 What are Baked Chopped Bread Cup – Savory Appetizers? 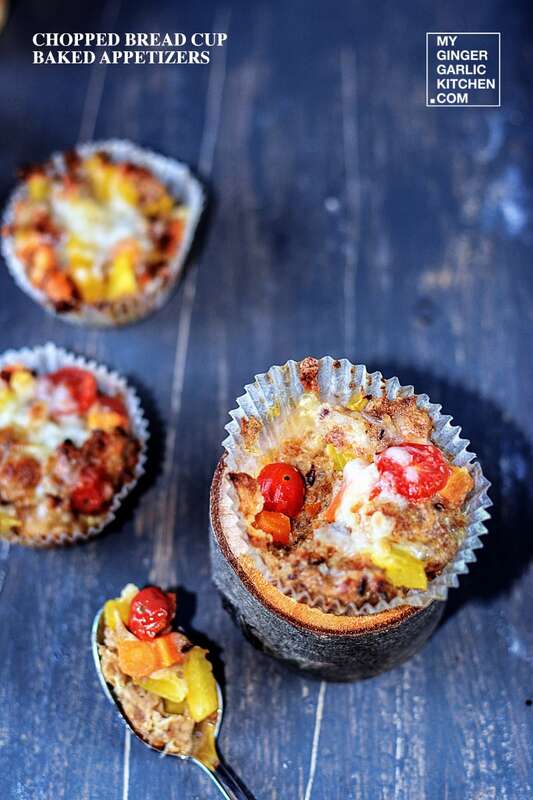 Baked Chopped Bread Cup – Savory Appetizers are quick snacks made with brown bread, egg, vegetables and cheese. 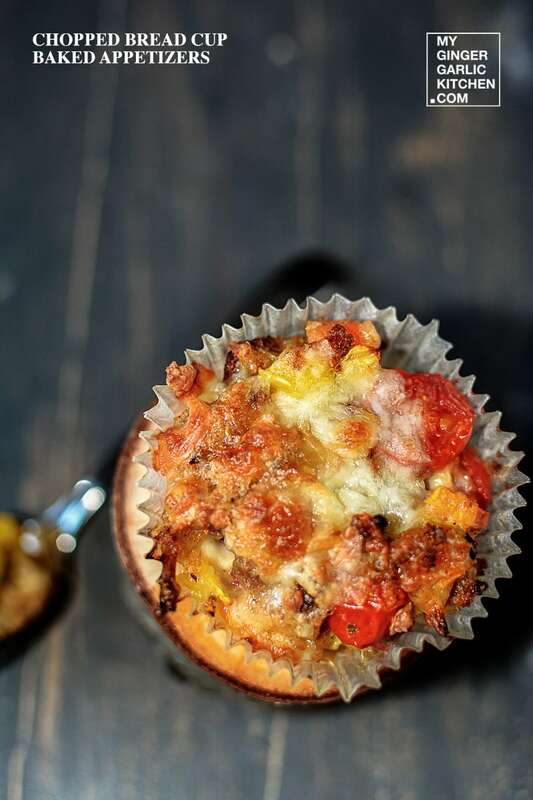 I am sure you will love these sweet smoky flavored, fresh cheesy veggie muffin like appetizers as much as we do. 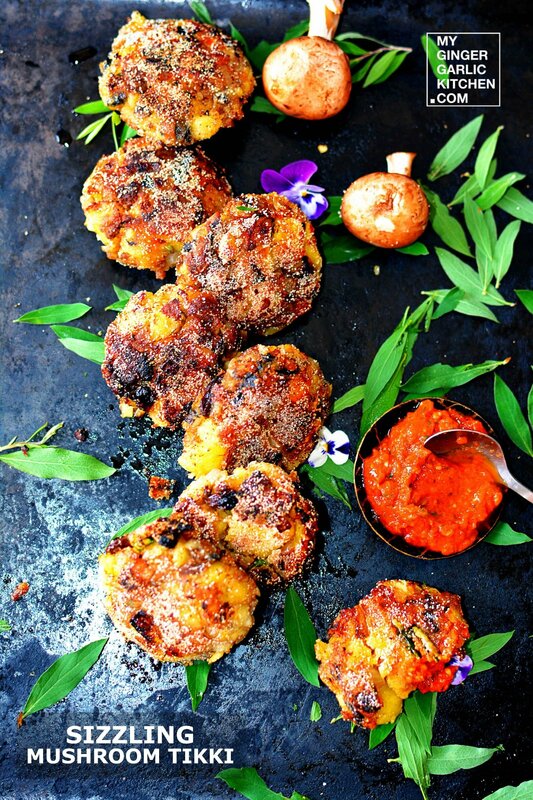 The savory flavors came together well after cooling, and they are even more flavorous next day. 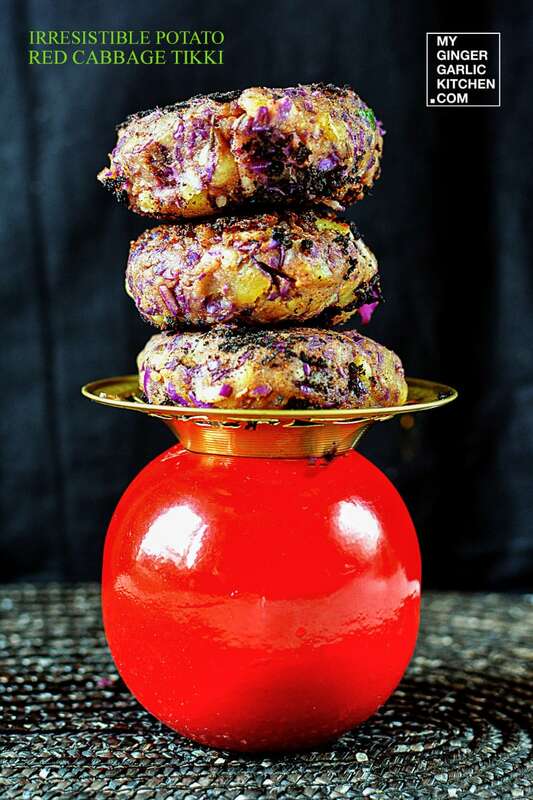 These cups make a great appetizer and would make a wonderful brunch/snack. 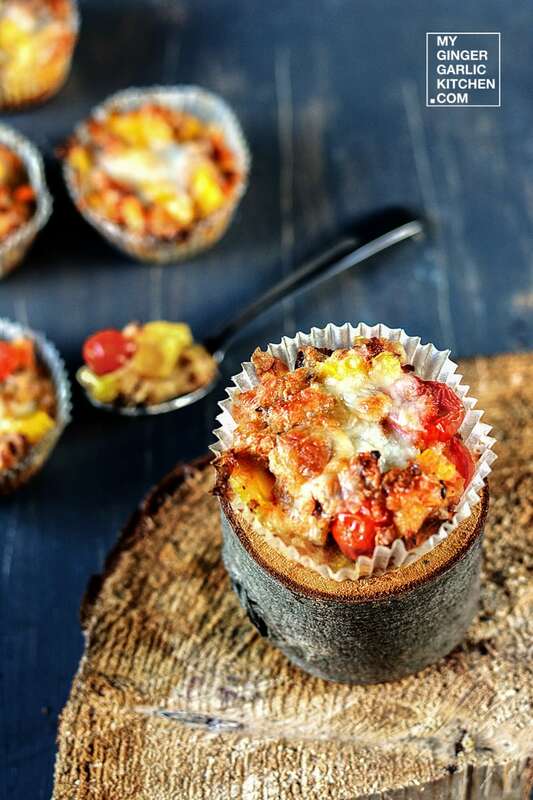 Baked Chopped Bread Cup – Savory Appetizers are visually appealing, and taste beautiful. 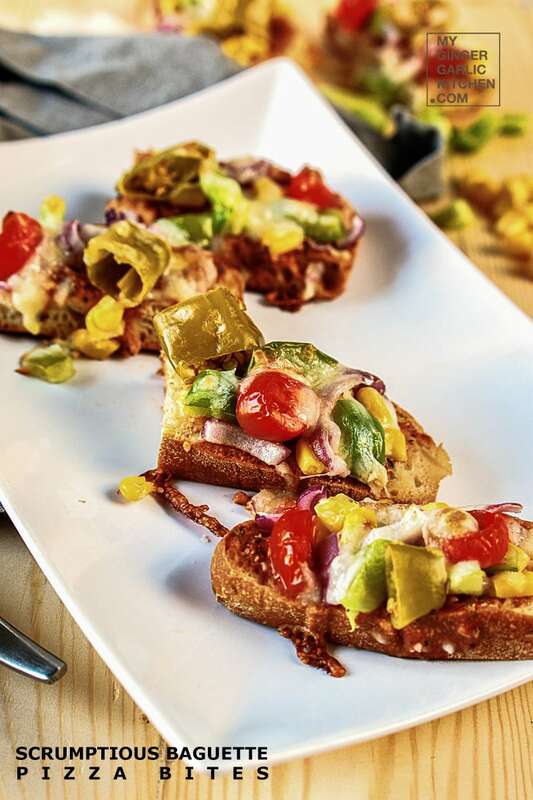 Let’s learn to make Baked Chopped Bread Cup – Savory Appetizers in 5 easy to understand quick steps. 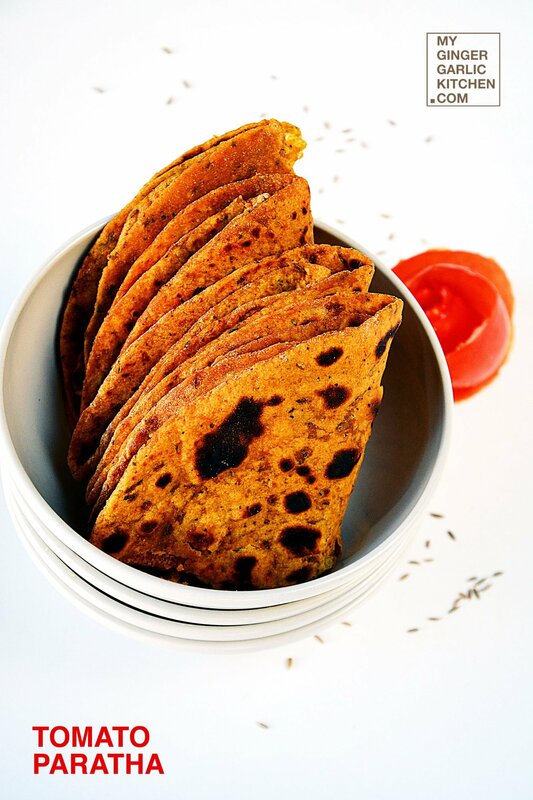 Combine chopped bread, egg, pepper powder, and salt in a large bowl. Whisk well, and add butter to it. Mix well till butter melts. Add all the vegetables and mozzarella cheese to it, and mix well. 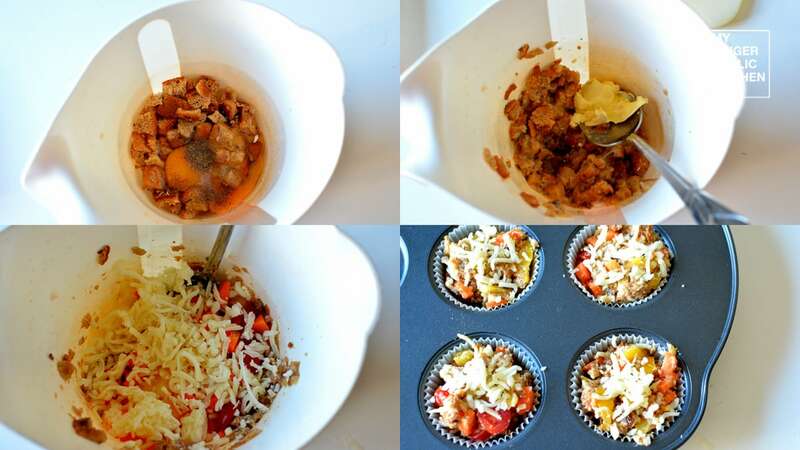 Insert muffin liners into the muffin baking tray. Evenly distribute the batter into muffin pan. Spread some cheese on top. Bake for 20 minutes, or until golden brown. Allow them to cool before eating. Remove from pan, and enjoy with your favorite beverages. Props & Styling: I used a dark wooden board, and a small wooden branch to styling.